Closing a three-year gap between LPs, revolutionary industrial/black metal outfit, GNAW THEIR TONGUES, will deploy its latest aural depravity upon the population with its long-awaited new full-length album in early August, with some of the unit's most engrossing material to date delivered through seven gut-wrenching new movements, bearing the title, Abyss Of Longing Throats. The damaging second track from the album, "Through Flesh" leeches onto humanity through an exclusive premiere at Decibel Magazine. Through nearly forty titles released in less than a decade, GNAW THEIR TONGUES' richly infamous works are created by the architect Mories, the same man responsible for such acts as Aderlating, Cloak Of Altering, De Magia Veterum, Seirom and others. Though the band has hardly been quiet in the interim, it's been a good three years since the last full-length album from this Dutch nightmare machine. But with new album Abyss Of Longing Throats, GNAW THEIR TONGUES has returned in full ravenous glory, offering another hellish cacophony of mangled industrial black metal, lurching deformed heaviness, twisted electronic carnage and bombastic orchestral power that sounds like no one else. From the frenzied black swarms that sweep across the doom-laden death industrial of opener "Lick The Poison From The Cave Walls" that eventually resolves into a glacial haze of bleary, blasted bliss, to the hallucinatory black metal of "Through Flesh" that fuses staccato violins, terrifying choral singing and grueling mechanical doom to one of the most emotionally stirring sequences yet heard in the band's catalog, Abyss Of Longing Throats continues to chart the evolution of GNAW THEIR TONGUES' sound. There's plenty of the grueling industrialized heaviness and violent orchestral sounds the band is known for, but this new material also expands upon the filthy blackened doom at the heart of the act's music with those moments of striking melodic power, moments where all the horror surging through these songs suddenly transforms into something hauntingly elegiac. Brief passages of tragic beauty, scattered throughout an abyss roiling with relentless programmed blastbeats, somber chamber strings hovering mournfully amid tortured shrieks, harsh clanking percussion and blasts of raging orchestral chaos, all writhing together into another exhilarating descent into total demonic delirium from this monstrous outfit. 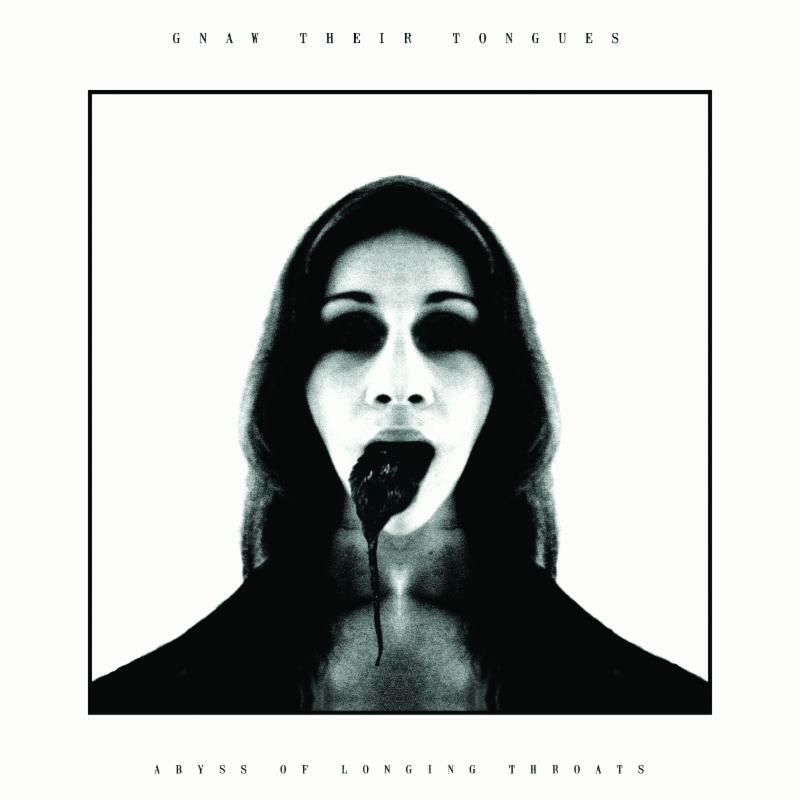 Decibel Magazine has deployed the first public lashing from GNAW THEIR TONGUES' Abyss Of Longing Throats with "Through Flesh." Listen now at THIS LOCATION. Abyss Of Longing Throats sees its revolting debut through the outfit's cohorts at Crucial Blast on CD and digital platforms on August 7th, 2015, followed by a vinyl pressing later in the year. Stand by for further atrocities to be made very clear as the album rapidly approaches. Amidst the release of their collaborations with Alkerdeel, the massive Collected Atrocities 2xCD album and more this year, Mories has taken GNAW THEIR TONGUES from a studio-only entity, having performed as such high profile festivals as Roadburn Festival, followed by its first American performances at Maryland Deathfest XIII and Apex VI. The outfit returns to the US again later this year as it takes the stage at the inaugural California Deathfest in Oakland alongside the likes of Autopsy, Immolation, Infest, Dead Infection, Morbosidad, Despise You, Xibalba and many others October 9th through 11th.